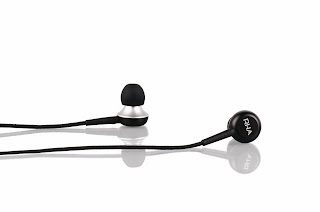 The RHA 350 is RHA’s entry model IEM mostly aimed at the average consumer, mainly those looking for a nice replacement for those white iBuds. Being priced at $39.99 there are plenty of similar products that compete for the consumer’s money and there are very few whose sound quality is decent enough to write a worthwhile review, well needless to say the MA350 is one of those few. In a market as crowded as the $20-$50 market first impressions and appearance is usually what makes the sale. The MA350’s package isn’t flashy or particularly special but it does a good job showing the quality of the IEM. The cord wire sleeve for the cable and aluminum earbuds does a great job of giving a quality feel to the IEM and makes a lot of it’s competitors feel a little cheap in comparison. The first time I plugged the MA350 in I was extremely impressed at how well the clear and detailed the MA350s were for an IEM in its price range where most mainstream IEM would reproduce a jumbled mess of sound. The MA350 to compete more with IEM in the $69.99 retail range such as the Sennheiser CX300 II, which can be found for around the MA350’s price range assuming you know where to look. The MA350 are very relaxed and warm with prominent bass backing up the mids and dull treble setting a relaxed mood. This can change depending on the balance of the track when it was mastered as the MA350 have exaggerate the treble a bit which can make the overall sound feel sharp and aggressive to the point where it may become stressful to listen to some songs. This is why I tend to favour compressed or lossy tracks (generally tracks compressed to 320kbps as it offers the most detail but looses most of the treble peaks) in favor of uncompressed lossless tracks as lossy tracks are usually a little more tampered when treble is concerned. Compressed tracks are a lot more forgiving toward the MA350 as they put less emphasis on speed and detail. Overall, the MA350 have an extremely fun sound signature that does not overshadow any parts of the sound spectrum while displaying phenomenal detail for the price. The treble on the MA350 have a very noticeable exaggeration which present itself quite prominently on the right tracks. This exaggeration begins in the mids and grows slowly toward the treble. I find this rather smart as it helps offset treble detail that is usually lost during lossy compression as well as to make sure the bass does not overshadow it. This tuning makes the treble is really aggressive on some treble prominent lossless tracks and makes it feels like the treble is blaring at you. The MA350 are rather weak with fast consecutive frequencies that are in the treble region which generally turn into a muddled sandy mess this is usually hidden fairly well this fact is fairly well hidden by the sharp attack the MA350’s treble delivers that tends to shadow it’s successive tones. When listening to cymbals on lossless tracks the initial clash is generally overshadows the its proceeding tones and hides them very well. This sharp and occasionally, blaring attack does a great job at bringing out the treble but can really wear down the ears during a long listening session. While they are still present, most of these problems are a lot less prominent on lossy tracks as most of those peaks are lost during the compression process. As a result the treble ends up providing support to the more prominent mids and bass and the exaggeration ensures that the rest of the sound signature doesn’t drown the treble out. The mids of the MA350 are very well done and are almost never overshadowed by the bass or the treble due tracks generally prioritizing the mids or vocals over everything else. It does a really good job pronouncing details that are usually lost or overshadowed by the main vocals such as the backup vocals and they do a fine job showing minor repeated tones that would usually be jumbled up into a cluster of sounds in this price range. The MA350 do a fine job allowing the vocals to shine through in its relaxed sound signature very well but they tend to struggle a little as they near the lower mids and upper mids where the exaggeration for the treble and bass begins as they tend to lose out or fight for dominance but this rarely occurs and is not much of a concern. Though I found that the vocals can get rather harsh as they begin to enter the treble region and harder tones like “s”, “st” or “sh” became really harsh and can create a little stress for the ears. While this problem generally occurs a lot more often when listening to lossless tracks it also occurs on a few compressed tracks. The MA350 bass is the aspect that makes the MA350’s sound signature so fun to listen to. The MA350’s bass is clearly exaggerated which gives the MA350 a rather relaxed and warm sound. Generally speaking, the MA350 have smooth, prominent, deep bass that feels a lot more controlled and tight in comparison to most IEM in its price range. In budget IEM I usually find the bass is lacking in depth, control or both and when the IEM has a bass prominent sound signature these flaws tend to show even more. This is why I so impressed with the even with the bass exaggeration I notice little to no loss of bass control. The bass of the MA350 is rather revealing and tends to show details that are usually lost or sound faint on other brighter IEM making it a very fun and entertaining switch. The MA350 are a phenomenal budget IEM that has a very fun and generally relaxing sound signature that does a great job at reproducing details. The build quality is amazing as it feels durable and feels like it was built to last. With a $39.99 price tag it makes a great gift and is a great first step into better audio. 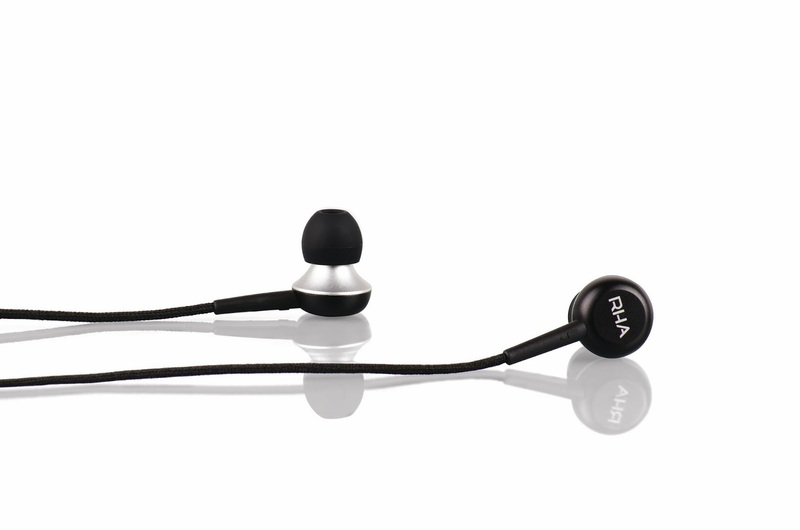 Check out the MA350 at RHA's website here. Interested in the MA350? You can order them here at Amazon.com. So I've received my AS-2's for about a week now so I think it's about time I wrote a little about how they are so far and provide a little teaser for what's to come in the review. So first off Stealth finish: Looks pretty epic but feels a little more cumbersome compared to the polished finished. It could just be my pair but after they arrived I saw there were a few minor imperfections on the finish on the logo on the "a" of the right ear as well as the tip of the nozzle on the right ear. The new cable is a bit more resistant to memory and has a shorter hook section near the top otherwise it's the same as the old cable. The sound shows an improvement over the ASG-1S for a number of reasons though I don't think it is completely fair for me to say that just yet at this time as I have not heard the latest update of the ASG-1S. The most notable difference between the two would be the soundstage and balance the soundstage of the ASG-1S is somewhat thrown off by the tuning and while balancing the tuning with the use of EQ helps, it does throw off the sound cues. The AS-2 allows more of the overall sound signature to shine more and while I can't exactly point out the cause(s) of the differences I hear I am quite sure it is a combination of the tweeters, the new driver that comes in the 1.3 update as well as the overall tuning of the AS-2. As for the bass port I notice they affect the decay of the bass the most (around the 100Hz and below range) based on maybe half an hour of testing so far. Compared to the IE8's bass port the AS-2's bass port seem's to work a better as it doesn't seem to curb the sound signature, of course I need to do more testing with this little feature. As for the possible mods for the ASG-2 I have not run into any major problems worth noting so far I would suspect that the AS-2 may sound a tad better in this respect as they may not exist on my AS-2 because they're custom and are better tuned as they take into account how sound enters my ear. 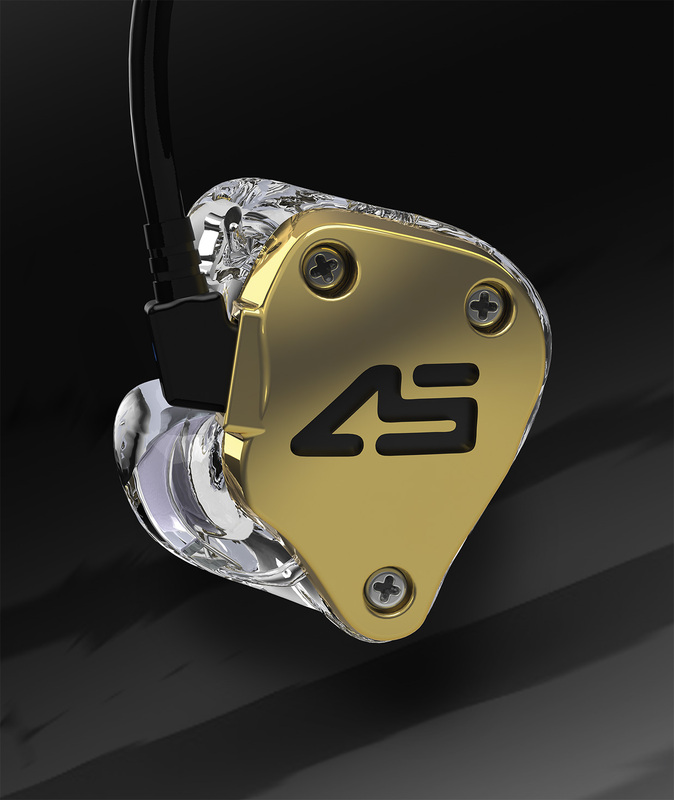 The ASG-1S are a set of limited run IEM which are handmade by Dale Lott (Owner and CEO of Aurisonics for those who don’t know) and cost $499.99 a pair. Each pair of ASG-1S have polished shells and chrome plates as well as their own serial number. Sound-wise, the ASG-1S are set apart from the regular ASG-1 as it is tuned differently with a tuning Dale calls “signature” tuning so they don’t sound exactly the same as the ASG-1(rev 1 or rev 2). Being a separate product, the ASG-1S will most likely have their own set of revisions in the future separate to the ASG-1. Generally, my first impressions of a pair of headphones start with the sound, with the ASG-1S, it was a totally different story. When I first opened the ASG-1S I stared at them for at least 30 minutes because of the gorgeous finish on these. The polished shell is just about clear as glass except for the sound bore and the housing of the drivers that still remain frosted like the ASG-1. While the main highlight of the ASG-1S’s aesthetics are definitely the polished shells and the chrome plates the cables were what really caught my eye on the ASG-1S. Now for all those who read my revised ASG-1.1 review, you may remember that I mentioned I really hated how the cables turned green (caused by the copper in the wire oxidizing). The ASG-1S, like the regular ASG-1’s were designed as stage monitors and the tuning reflects that. When Dale designed the ASG-1, his main goal was to create stage monitors that would play back a vocal’s voice as others hear it which is why the ASG-1S do sound coloured. I am sure everyone has noticed that your voice sounds different when you hear it coming out of a pair of speakers, the ASG-1S were tuned to counter this effect. This tuning makes the midrange to sound veiled and toned and while this is rather evident it is nowhere near the severity of the original ASG-1.1 which had a radio like tint on the sound. The ASG-1S have a really warm and intimate sound signature with prominent bass backing up the emphasized mids and distant treble. The ASG-1S have handpicked drivers which give the ASG-1S a improvement in sound as the bass is a little more tame which means they shadow the midrange and the treble less giving the ASG-1S a more balanced sound. I find the treble to have a reasonable improvement over the ASG-1.1. Even though the drivers are the same, I found the details of the treble on the original ASG-1 was constantly overshadowed by mids and bass even when I used EQ to bring out the treble it would tend to distort the tone of the treble by a bit. The tuning of ASG-1S seems to fix this problem as the toned down bass allows the treble to shine through a bit more. While that is the case I still find dull and lacks the edge that makes it sound a tad grainy at times. Without EQ to balance out the sound signature the treble usually sounds and audible without any real loss of quality or detail but using EQ to balance out the mids allows the treble to show a little more sparkle. Besides contributing to the overall tuning of the ASG-1S there is also a very practical reason for toning down the treble, sibilance. Now I’m sure we all have had personal experience with feedback where a microphone has been placed too close to an output source which results in an extremely harsh high pitched tone being outputted. Now imagine this happening during a recording session, if the treble was left at regular levels would have this sound played full blast directly in your ears. The ASG-1S puts a lot of emphasis on the mids as the ASG-1’s were originally designed for vocalists. The ASG-1S are tuned so the mids, specifically vocals, will be the most prominent sound when listening to just about any track. This tuning makes the mids, but more specifically the vocals, sound really close and intimate but also make the mids feel a little bloated and a little out of line the treble and when combined with the bump in the upper bass it gives the mids a slightly coloured feel as tones entering the bass range are being pushed to the front of the soundstage with the mids. While the mids themselves are more then capable of showing details there are some occasions where the tuning on the bass overshadows and colours these details, which is why I generally use EQ with the ASG-1S. Using EQ to bump down the mids bump expands the soundstage and brings the mids and the bass back in line with the treble and allows the mids to shine a lot more and be much more revealing as they no longer struggle for dominance. Like the ASG-1, the ASG-1S does extremely well with acoustics and percussion instruments and makes it very easy to distinguish between nylon and steel strings as well as reproducing the decay of each instrument. The bass of the ASG-1S is noticeably tighter then the ASG-1 but it doesn’t break away from the overall loose relaxed bass of the ASG-1. The ASG-1S has very strong prominent bass and does a real good job at accurate but loose bass reproduction. The ASG-1S has no problem delivering a punch strong enough to satisfy most bass heads without completely overshadowing other details. The bass on the ASG-1S does a real good job reproducing the decay of bass guitars and drums. Subbass reproduction is really prominent on the ASG-1S and really lives up the Aurisonics slogan “Rattle your teeth bass”. The ASG-1S is extremely an elegant pair of IEM and the tuning offer a significant improvement compared to the ASG-1.1 while performing the same task. Of course the question that arises whether or not the ASG-1S is worth the extra $200. Objectively speaking, the aesthetic treatment itself is worth $200 if we were to look at the aesthetics so the special tuning is an added plus but the extra $200 is also enough to let someone buy an ASG-2 which makes the decision much harder to make. Currently I do not have an ASG-2 to make a sound comparison with but I will update this when I do. The target audience of the Dunu DN-16 “Hephaes” is the mainstream consumer base or more specifically, those who prefer the Beats sound signature. They sound best when used with bass reliant genres. The first thing I noticed about the DN-16’s was the amazing looks and the surprising weight of the IEM. Upon putting them on, the first thing I noticed was the overwhelming bass presence utilizing a patented Power Bass System. The build of the DN-16 is definitely among the best I have seen in the $100 range. The first thing I noticed about the DN-16 is the distinct weight they had. According to Dunu the housing is made out of titanium, which give the DN-16 a real solid build and quality feel. Of course, the aesthetics are a nice touch as well. Bass is the name of the game with the DN-16. Upon plugging them in they take any trace of sub-bass in the track and expresses it as a prominent THUMP. On first impressions I would have said the DN-16’s sound signature was fairly similar to the Beats sound signature seeing how they both emphasize bass and tend to color the mids, but now I think they’re completely different in the sense that the DN-16 focus on sub-bass rather then bass quantity? Though the effect on the midrange and treble is rather apparent. Treble is definitely the weakest link in the DN-16’s sound and is best used with genres that don’t place too much emphasis on treble. I found the treble lacking the smooth fluent sound of other headphones near its price range and generally sound sandy or grainy with most of the tracks I used them with. The response speed of the DN-16’s treble tends to struggle with fast tracks and meld into a mass of harsh rasps. Immediately after plugging in the DN-16’s I noticed a distinct veil where the mids were distorted because of the emphasis applied to the bass. After at least 50 hours of use, the DN-16 was really hit or miss when it came to the midrange. With half of the tracks I used with the DN-16, I found that they had clear, but coloured, mids that are backed by the pounding bass of the IEM. With other tracks, the mids and vocals were in a constant power struggle with the bass for forward presentation. This made the midrange and bass appear to originate from the same source and plain and made the sound feel flat and rather stuffed up. Overall the mids are fairly well presented and, more often then not, provide a fairly pleasant experience to the listener but when used with the wrong tracks, everything becomes a jumbled mess. Bass was the name of the game for the DN-16 and it would be an understatement if I said the basshead side of me was amused. If bass quantity were the most important aspect in an IEM, the DN-16 would beat the competition with ease., I think the only way you can get better bass quantity is by attaching a subwoofer to your head. I found the DN-16 really excelled with most mainstream genres that really depend on bass such as trance, hip hop or pop but tends to struggle with acoustic bass because the bass decay tends to distort the reproduction of a bass guitar. The soundstage of the DN-16 was rather typical when compared to other IEM’s in its price range but I found the frequency response would continuously disrupt the presentation of the DN-16. Continuing on the issue that I touched upon on the midrange section, I found the occasional power struggle between the bass to give the IEM a really flat sound. The Dunu DN-16 “Hepheas” was a really fun experience and it was a rather nice retreat from the usual audiophile signature that I’m used to reviewing. The DN-16 were designed for use with mainstream genres and its tuning reflects that. The DN-16 tend to target mainstream consumers rather then the critical listeners who care about neutrality therefore I don’t find it in the same league as other neutral IEM such as the Hifiman RE-0 or the Shure SE 215, as they target different audiences. When compared with similar IEM such as the Beats Tour, the DN-16 becomes a real competitor. So something really special just arrived today! The new Aurisonics ASG-1S signature series! These are the same as the ASG-1 except they have polished shells and chrome plates. If everyone remembers a while back it was announced that Aurisonics would be creating 10 limited run ASG-1S that are handmade and tuned by Dale, this is no longer the case. They are now a regular product of Aurisonics and will cost $499.99. Apparently, mine are the first ones created (so serial number 0001) and is missing the otterbox. I would like to inform everyone that these DO NOT sound like the ASG-1. They have, what Dale calls, "signature series tuning". A few months ago I decided to get myself a pair of Custom In-Ear Monitors. This was before I joined Headphones for Dummies and before I knew jr.kong. I decided to buy the AS-1's as I liked the ideas behind them very much, but Dale Lott of Aurisonics surprised me and gave me a sneak preview before anyone else of what would come. The AS-2's I received are considered prototypes. I will go back and forth between calling them prototypes and regular AS-2's as I see fit due to what I know has changed or not since I received my pair. But please understand that they are very much indeed prototypes, as they were in my possession before the official release and also has one added and one missing component. Price doesn't scream, "throw me around and don't worry about losing me"
Some hiss does exist when around items with strong RF signals or an electromagnetic field near the source when using them. It's not always, it's not even consistent, but it does happen, it comes with the territory of balanced armatures. It's nothing that would cause anyone to complain that they are unusable. It's hardly noticeable, but if you're trying to hear it you'll hear it at some point. This product was developed mainly for those people in the music profession. That is not a bad thing, but it is definitely something to remember as some other companies make products meant for consumers that are used by artists, but these have even more power and care taken to them and are stated to be for professional use only. I feel it is important to inform everyone that you should always listen at safe levels which is the case with all products, but especially ones that were not designed for consumers. In this section I am going to break down what I think of all the features that appeared on the main page for Aurisonics when they announced the features and where the AS-2's would be launched. 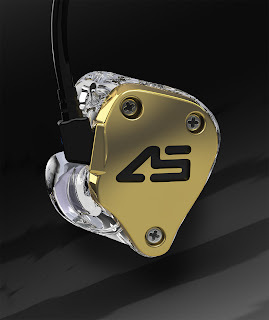 The AS-2's feature three sound components, one 15mm Dynamic Driver and two "Next Generation" Balanced Armature tweeters. The combination of which is spectacular to behold. Adjustable Bass Porting - For those of you who love your bass, and it's easy to see why with the AS-2's, this port will allow you to adjust the bass levels, but please be advised to practice extreme caution as these are made for music professionals, not for consumers. I wouldn't be surprised if you can rattle your head so much with the AS-2's that you hurt yourself. I've definitely pushed the AS-2's a bit hard on the bass and they never disappoint, but I still advise extreme caution in doing such things. "Hyper-Coating" Comfort Tips - This is the feature I have yet to receive. I will be sending in my AS-2's for this treatment to be done. From what I understand it is a special compound developed that will help cling to your ear canal from your body heat and help the AS-2's stay in even better. I have had no problems without this, but I am curious to see what it can add to my experience and will report back later. Recessed Connectors - Aimed at allowing for more durability and longevity of your In-Ear Monitors, the recessed connectors may be seen as a plus or a minus depending on your needs and if you want aftermarket replacement cables, as not all of them support recessed connectors. Obviously as you can tell, the AS-2 Prototypes I own are quite flashy. This specific model has the polished shell exterior and a Chrome plated front panel. These are both separate options for when one orders the AS-2's. If one does not choose these options, the AS-2's will look a bit like the ASG-1's that jr.kong reviewed previously. They would have a frosted shell and a frosted plate. Options like the ones on my AS-2's will run you $1200. The comfort level of the AS-2's is a positive thing. Since they are custom made to impressions I sent in, they hardly feel like I am wearing anything at all. I have had many listening sessions that lasted only a few minutes, and many more than turned out to be hours. This is good for those of you that are musicians and for those that are not. The ability to not notice any fatigue or discomfort from a pair of headphones, or in this case In-Ear Monitors, is important and welcomed. Music professionals should have no fears about being able to use this on stage during a long set, or just for long mixing or listening sessions. 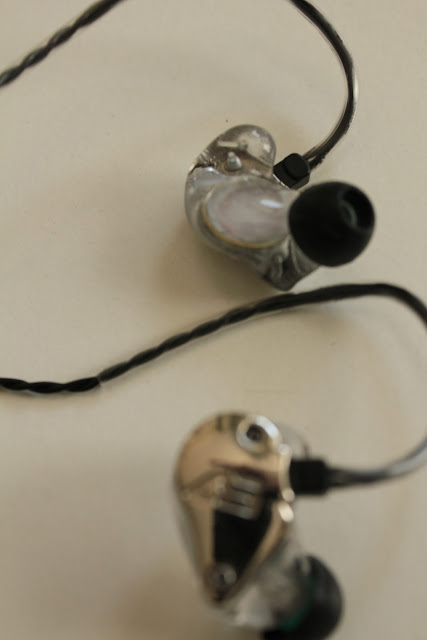 Similar to all other Aurisonics In-Ear Monitors, the AS-2's come with a Otterbox. Custom molded In-Ear Monitors come with the Otterbox 2000 to be precise. Besides that, the AS-2's came with a little satchel to store the AS-2's in and a tool to clean up the area that the sound comes from, since it will build up with ear wax and need to be cleaned off every once in a while. All in all, nothing too great, but not lacking. I would have loved to see an included microfiber cloth to wipe off finger prints from the chrome panels on the AS-2's after insertion to my ears, but being that they do not need much more maintenance than that, a case to keep them safe and a portable case for on the go along with the cleaner tool was more than adequate. 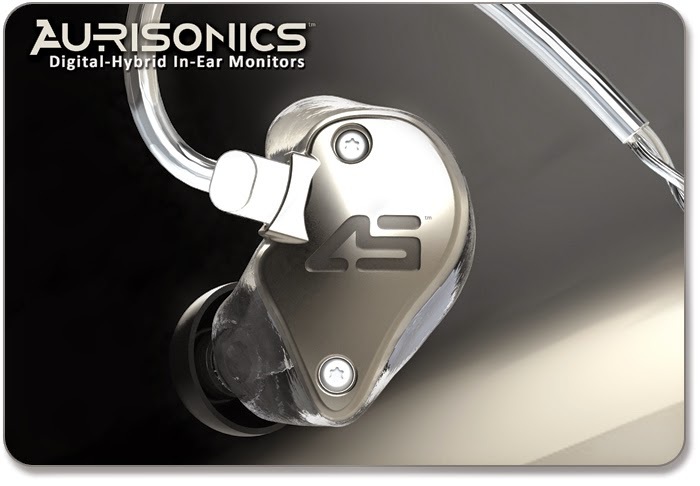 After talking with Aurisonics they are including a polishing cloth with plated versions of the AS-2. The overall sound signature of the AS-2's is flat. Each of the three normal divisions of the frequencies are equally balanced with each other and this makes for a fun experience. The important thing about the AS-2's is that no matter how much I have tried boosting any single part of the highs, mids, or bass the overall sound from the rest of them is still superb and unaffected. Each section is well contained and little to no leakage between them means if you like it more bass heavy, go right ahead, you will still hear everything crystal clear. A song by Bassnectar called "Ping Pong" samples a ping pong ball bouncing around. The 3D imaging is amazing on the AS-2's, but if you turn up the bass levels you will still hear the clearness of the ball bouncing around like it was a leaky faucet dripping a drop of water in an otherwise silent room. This is the area in which those two tweeters come into play. The highs are interesting on the AS-2's. It's this part of the AS-2's that I guess one would think the tweeters are standalone and separate from the 15mm dynamic driver in them, but to my understanding this is not the case. The balanced armatures in the AS-2 seem to compliment the dynamic driver to ensure that you are not just able to hear the highs, but also hear them well and enjoy them equally. Listening to music with really high notes hit by a vocalist is spine chilling. It's a great feeling to have something that hits hard as needed in the bass and still delivers like this in the treble space. The midrange of the AS-2's are lush. They are warm and inviting to you as a listener. I find the midrange to be perfectly tuned for the other frequencies to complement them. Similar to the treble, the midrange is quite airy making the two seamlessly co-exist in a unity of spaciousness and yet similar sound qualities. The midrange is airy and textured. It really makes you feel like you are there as you hear the pluck of the guitar in front of you. the tweeters used for treble levels mean the midrange is not overpowering the trebles at all. The midrange feels like so much of the rest of the AS-2's, which is a product that you can tell took some hard work and care to make and perfect. It's something I have been talking throughout lots of sections of the review and rightfully so. It's amazing how the 15mm driver inside this In-Ear Monitor performs so well with all the frequencies and realize that it also handles the bass at the very same time. The bass is crisp and clean. In the past with my headphones that I have had that were considered Basshead headphones, with great bass, I never had anything like these. On tracks I previously thought were mastered poorly because it's bass did not produce much rumble or have much depth to it. With the AS-2's, the bass still does not lack it's clarity and texture when testing with those tracks. The bass goes well below my previous headphones, the Denon AH-D2000's that have quite a history of Basshead territory in the audio hobbyist community. I highly recommend anyone worried about finding something that'll give them that bass craving they have but fear losing the rest of the frequencies or even just think it'll be too heavy. It's a bit hard to get a handle of, but I can't think of any other way than to say, the AS-2's will perform as close to how the master engineer for the song intended it to sound. If the song is meant to have light bass, that's how the AS-2's play it. Yet at the same time, if the next song calls for lots and lots of bass, it'll deliver that as well, nice and clean, without any change of settings. In actuality, that's how every headphone or In Ear Monitor should be, but I have never found one that does on such a consistent basis until the AS-2's came along. This is one of those things that one feels the AS-2's were made for. I got the AS-2's while I was going through finals at school and used them at first while studying. I was in the library one day and the track I listened to had a sample of someone clapping very far away. I instantly started looking to my right and their was not anyone their for about 20 feet, yet I could have sworn the clap came from that first person. I listened to the track again and realized it was something in the music, but it definitely made me know I had something special. I have been enjoying very much the use of live music recordings to see how large the soundstage really is. I've pushed it to where using stadium concert recordings you'd swear you were actually there. You can tell exactly where the band is positioned and if a member has moved around on stage. You can hear the slight nuances of the fans and figure out exactly where the microphone must have been if you look at a map of the stadium it was recorded in. The instrument separation is unreal sometimes in how well you can just try to only listen to the pianist or any other instrument and just completely get lost in only hearing that instrument as it's perfectly clear and is not being blurred by any of the other instruments during the song. For the AS-2's, the need to EQ like with the ASG-1's reviewed previously on the blog is not existent. I have tried it and it does not do the job like it should. The balance of the AS-2's already is amazing. The use of equalizers is meant to fix or account for the sound qualities of a less capable headphone. An equalizer for bass boost would look to help give that extra attention to the bass frequencies since they are not getting enough power to the headphone or are not as efficient at playing those frequencies as it is with other frequencies. The AS-2's do not have that. Every section of the frequencies that make up the spectrum that humans can hear is accounted for and level with each other. The customer experience provided by Aurisonics is a treat to encounter. They are responsive and will work with you. This product is a gem to behold. Within moments of use it is obvious the amount of work and dedication that went into developing it and the things it is capable of are astonishing. If you are able to afford the price and are looking for a custom In-Ear Monitor, you won't go wrong no matter who you are. Whether you are a Basshead, love the sound of amazing vocals, or just enjoy music with no preference for anything to be particularly strong in any which way, the Aurisonics AS-2's are something to consider as they have lots to offer for anyone with a love of music.